President Muhammadu Buhari has ordered the release of N54 billion for the payment of pension arrears for the year 2014, 2015 and 2016. Minister of Finance, Kemi Adeosun disclosed this in statement she released on her Facebook wall. According to Adeosun, N41. 5 billion has been paid National Pension Commission (PENCOM) for onward payment to the retirees, who retired under the Contributory Pension Scheme. "I've got great news to share, regarding Federal pensioners who retired under the Contributory Pension Scheme without being paid. We've now cleared the inherited arrears of pension benefits for 2014, 2015 and 2016, by releasing N41.5 billion to the National Pension Commission (PENCOM) for payment to affected retirees. We've also released the sum of N12.5 billion to cover outstanding pensions payments for January, February and March 2017, bringing the total payment to N54bn. 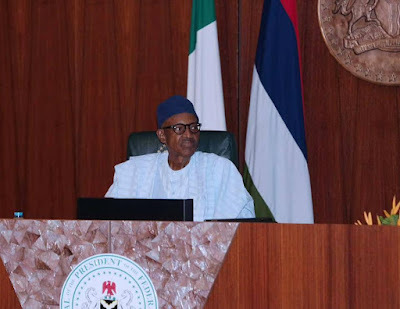 Despite conflicting demands for available cash, President Muhammadu Buhari has always expressed concern about the plight of workers and pensioners. These payments will bring relief to thousands of our elders who have served, and deserve to be paid their entitlements promptly and fully. With these payments I'm pleased to say that we have now cleared the Contributory Pension Scheme arrears that the Buhari Government inherited. To avoid fresh accumulation of arrears, we will from now on ensure that monthly allocations to National Pension Commission (PENCOM) are regularly made alongside monthly salaries to Ministries, Departments and Agencies (MDAs)".